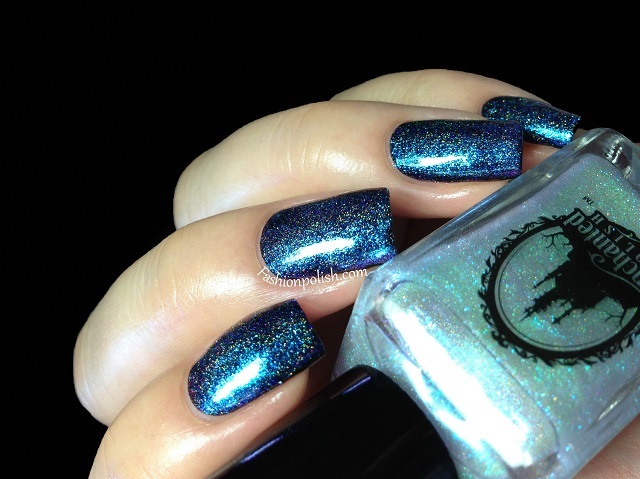 Fashion Polish: Enchanted Polish : more swatches & review! Enchanted Polish : more swatches & review! Hi girls! 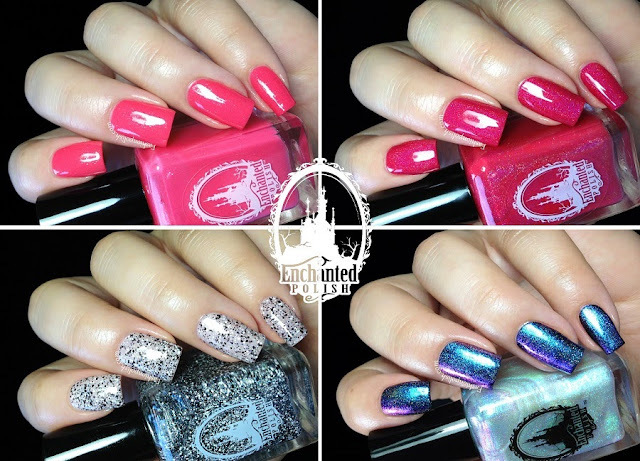 I have four Enchanted Polish to share with you today and there's something for everyone : shimmer, holo, glitter and duochrome! 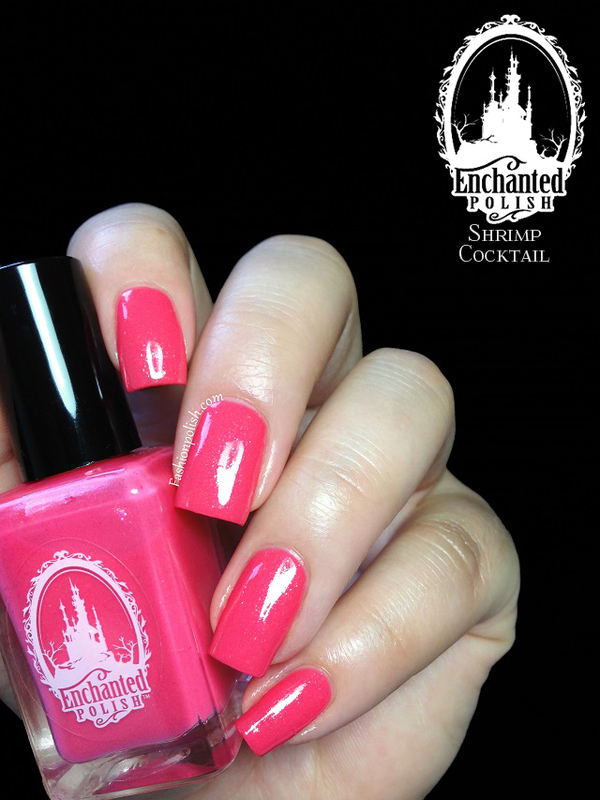 Shrimp Cocktail is a pink coral filled with gold shimmer flecks. It's sweet without being too girly, bright but not too bold or too pastel... The perfect Summer pink, especially if you're not that much into pinks like me! Application was flawless, even and pigmented, I used 2 coats plus topcoat here. Seven Nation Army is an ultra fine black and white glitter topcoat mixed with subtle holographic shimmers. I love the extra holo in it, as opposed to the regular black+white toppers, even if it does remain subtle on the nails. I decided to pair it with Misa Mr&Mrs from the I do collection to show you a "neutral" swatch but I ended up loving this combo! 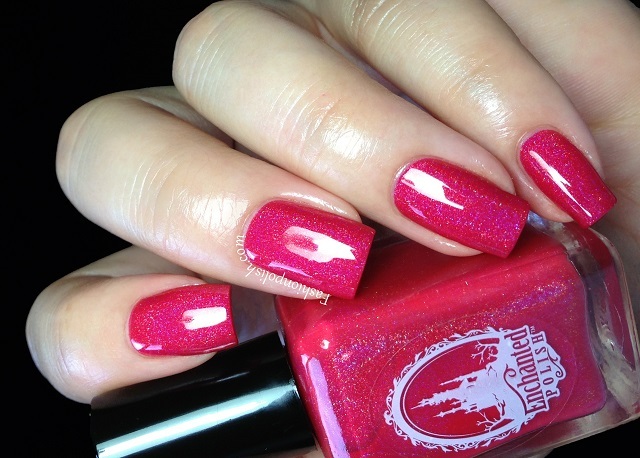 I used 2 very thin coats plus topcoat here (with a perfect glitter pay-off / dispersion!). 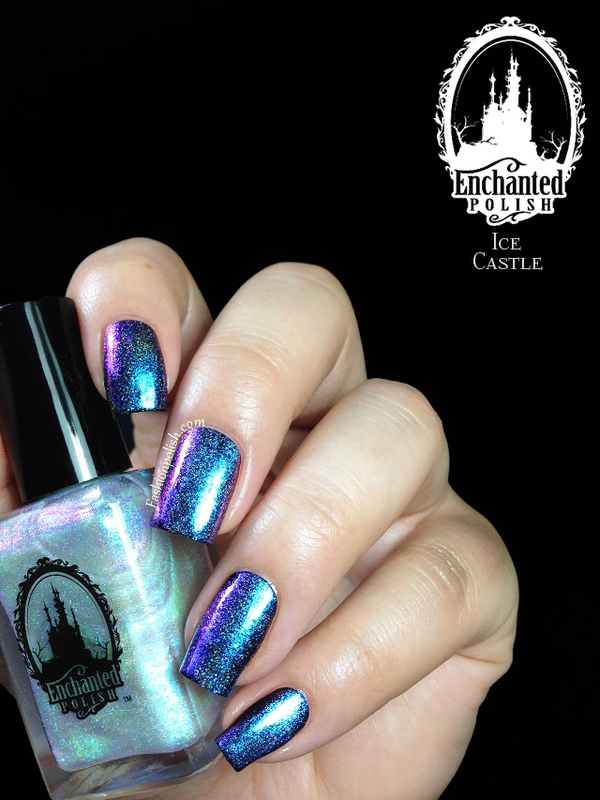 Ice Castle is a coarse duochrome shimmer with a blue to purple color shift combined with a linear holo effect. I didn't expect it to be that holo and I really can't think of anything like it, just stunning! I'm wearing one coat of Ice Castle over black here and it was enough for full holo/duochrome awesomeness! Under regular lighting, when the duochrome doesn't overshadow the holo, little rainbows come to life! This is just one coat over black, remember? Once again, I am completely in love with these Enchanted Polish beauties! Each one of them has this extra little something that truly sets it apart. I know they're often a bit hard to purchase and sell out in a flash bu if you can snag one, do it, you won't be sorry! Did you get any of these? 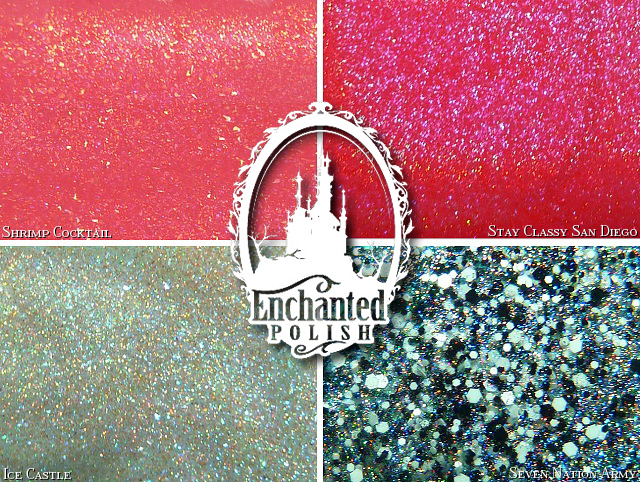 Are you a lucky owner of any Enchanted Polish colors?